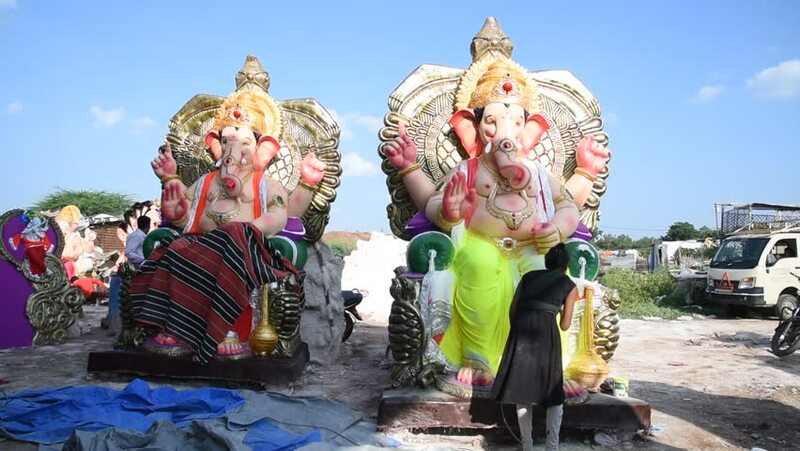 hd00:14AMRAVATI, MAHARASHTRA - SEPTEMBER 12, 2018: Artist gives finishing touches on an idol of the Hindu god Lord Ganesha at an artist's workshop for Ganesha festival. hd00:23AMRAVATI, MAHARASHTRA - SEPTEMBER 12, 2018: Artist gives finishing touches on an idol of the Hindu god Lord Ganesha at an artist's workshop for Ganesha festival. 4k00:20Tianjin/China-March 25,2019: people performance Stilts on a temple fair to celebrate the birthday of Buddha. The folk arts of Stilts are listed as Chinese traditional cultural heritage. hd00:22DHARAMSALA, INDIA - SEPTEMBER 24, 2014: Unidentified Tibetan monks and people from the lessons of the Dalai Lama, Buddhist temple, McLeod Ganj.